The Medina County Park District’s acquisition of a tract off Fenn Road is the latest link in a corridor of conserved land through parts of Medina and Medina Township – one that is two miles long and covers more than 600 acres. 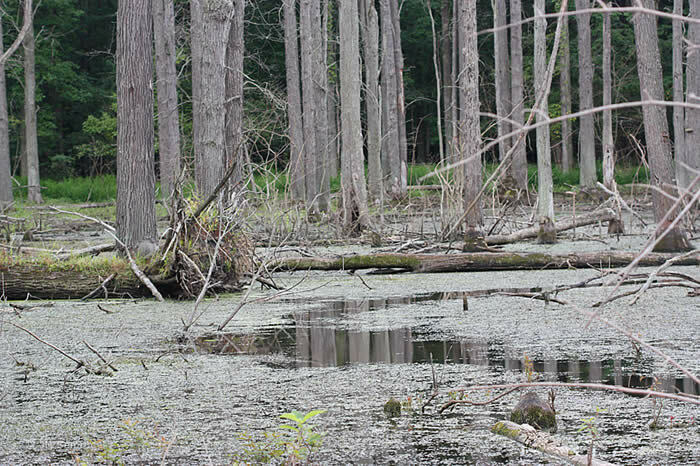 The park district worked with the nonprofit Western Reserve Land Conservancy to acquire the 87-acre Medina Marsh, which is located south of Fenn Road and east of Pearl Road in Medina Township. 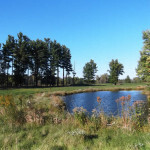 The Medina Marsh parcel connects the county park district’s 41-acre Vansco Nature Preserve to Medina’s 308-acre Reagan and Huffman parks, which in turn are adjacent to Lake Medina, a former reservoir that is now a 190-acre county park. Experts say such natural, unbroken corridors are important to wildlife and plants and contribute to a higher quality of life in a community through outdoor recreation opportunities and higher property values. Medina Marsh is not yet open to the public. When it is opened, park district officials said it will be a nature preserve available for passive recreational use, educational pursuits, research and nature study. Park District Director Tom James said the district is pleased with the opportunity to preserve additional land in the Rocky River corridor. 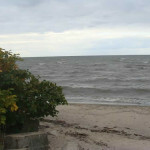 He said the newly-acquired land has been considered as important for some time. The Land Conservancy assisted the county park district in securing funding for Medina Marsh, including a $963,702 Clean Ohio grant, $75,000 from the U.S. Fish and Wildlife Services Small North American Wetlands Conservation Act program and $257,100 from the Ohio Environmental Protection Agency’s Water Resource Restoration Sponsor Program. The project was also supported by the Medina Township Trustees. The property is next to the West Branch of Rocky River and hosts a variety of natural habitats, including two Category 3 wetlands – the highest quality in Ohio – totaling 32 acres and a heron rookery with about a dozen nests. 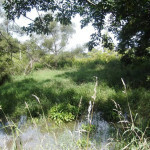 The wetland habitat includes lowland woods, marsh, and scrub/shrub communities. Medina Marsh’s western boundary is less than 50 feet from the main stem of the West Branch of the Rocky River, and the floodplain forest on site increases the forested buffer along 1,450 linear feet of the West Branch. Another linear mile of tributaries to the Rocky River flow across the property. Project officials said this is a valuable long-term water resource protection project that will maintain and improve water quality in the West Branch and in the larger Rocky River watershed, a state-designated impaired water body. In 2012, experts from the Cleveland Museum of Natural History visited the property and documented the presence of the Skullcap Skeletonizer Moth on the property. It was the first record of this species in Medina County and only the second record of the species in Ohio. 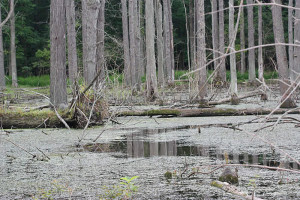 In addition, experts from the Ohio Lichen and Moss Association assessed the Medina Marsh property in September 2012 and identified Leska Moss on the property, which is also a Medina County first. A number of breeding migratory bird species were noted on site visits including Chimney Swift, Ruby-throated Hummingbird, Eastern Wood-Pewee, Willow Flycatcher, Great Blue Heron, Eastern Phoebe, Red-eyed Vireo, Eastern Bluebird, Red-headed Woodpecker, Gray Catbird, Scarlet Tanager, Eastern Towhee, Chipping Sparrow, Indigo Bunting, and Baltimore Oriole. 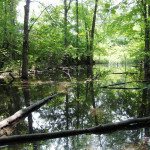 Northwest of Medina Marsh, along the West Branch of Rocky River, are several other preserved properties, including the Cleveland Museum of Natural History’s 33.5-acre Medina Sanctuary off Watkins Road and the county park district’s 42.7-acre Palker Wildlife Area off U.S. Route 42. Formed in 1965, the Medina County Park District now has more than 20 properties and manages more than 5,200 acres. Working with park systems, communities and farmers, Western Reserve Land Conservancy has preserved more than 490 properties and more than 35,000 acres in northern and eastern Ohio. The Land Conservancy’s previously worked with the Medina County Park District on the acquisition of land at the Medina-Wayne County border. The Land Conservancy is based in Moreland Hills and has a field office in Medina.